Mother's Day is almost here, which means trying to find the perfect gift for all those awesome women in your life. 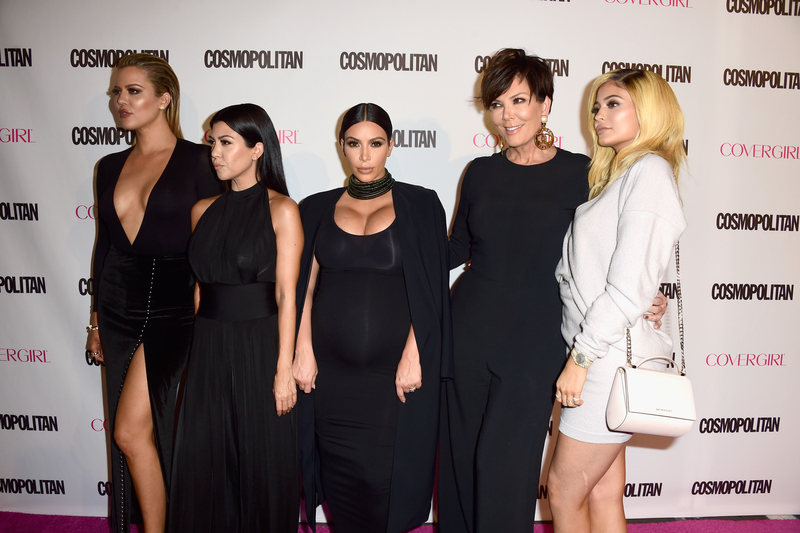 To make your holiday shopping a little bit easier, the Kardashian-Jenner family picked out some Mother's Day gifts at every price range for you to choose from. Although some gifts might be less practical for your average daughter or son, there are plenty of super affordable picks that are pretty great ideas you may not have thought of on your own. Whether your shopping for someone laid back, always on-the-go, or somewhere in between, the Kardashians-Jenners have you covered. If you can look past more of the outrageous ideas, you'll find plenty of inspiration. The famous sisters might not have to shop on a budget themselves, but their most affordable picks are definitely winners in my eyes. You might even find something for yourself as well! While I'm not saying you should run out and buy all $63,138 worth of gifts, this is a time to splurge at least little bit. After all, this is the day to celebrate the ladies that made us who we are today. There might not ever be a way to repay our moms for everything they've done for us, but an at-home spa day and a heartfelt card are great places to start. Between the five Kardashian-Jenner websites, there are 11 gift guides for all the different women in your life. Here are some of the best ideas that you can buy for the mom in your life. Khloe Kardashian suggest getting your mom this body polish (aka exfoliator) as part of an at-home spa day kit, but I see no reason why this can't be the star gift. It's a great way to treat your mom to something relaxing without completely breaking the bank. This functional phone purse is a great update for the on-the-go belt clip that was a huge trend in the '90s. If your mom is a morning coffee drinker, this pick is way better than just another mug. Even if your mom is the pickiest woman in the world, she'll love a sweet card. Kylie Jenner suggested a cookbook by this new mama, which is perfect for the mother who loves to cook. According to Khloe Kardashian's description, this bundle of sticks cleanses the space it's in whenever it's burned. This little brass decoration will remind your mom of you every time she sees it. A blowout is perfect for women of every age. Clay masks are great for all types of skin, so you can't go wrong with Khloe Kardashian's recommendation. Kylie Jenner got the quirky moms covered with her pet mom gift guide. Or you could just let the book speak for you. There's an oil for every emotion that your mom might be going through, so you can't go wrong with this pick. This is perfect for a woman who needs a little relaxation in her life. If you combine all the Kardashian and Jenner gift guides, you're bound to find one item that's perfect for every mom on your list.